Playing with Papercrafting: I've Bought a Christmas Present Already!! I've bought a Christmas present already! I'm so proud of myself. I'm not one of those super-organized people who finished their Christmas shopping in August. It's usually the week before Christmas when I purchase my last stocking stuffer. But, in my defense, I organize and run a huge outreach at our church in early December, but the hard work extends from September to December and it is really busy for me in the fall. Nevertheless, this gift kind of found me and it was too good to pass up! Now I can gloat for like a week or two, before someone outdoes me! 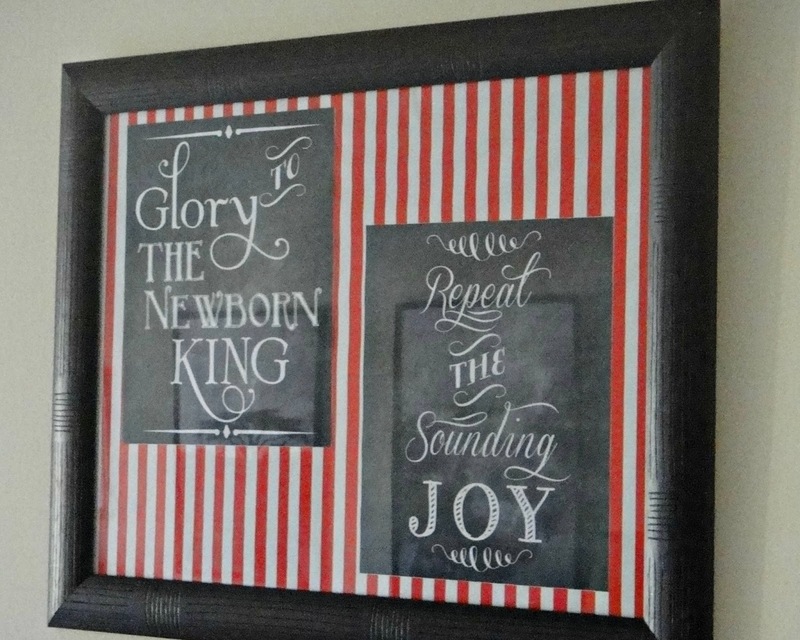 Once again, the frame from Papaya Collage, works so well with chalkboard designs, by stamping it in VersaMark ink and heat embossing with with White Stampin' Emboss Powder. The stamp, O Holy Night, doesn't quite fit inside the frame, so I stamped it on another piece of Basic Black cardstock and trimmed it down, but mounted it on dimensionals to place above the frame and it works quite well. It will also be easier to do on the night of the Stamper's Dozen, because it eliminates the need to use the Stamp-a-ma-jig. Some Cherry Cobbler 1/2" Seam Binding Ribbon, tied in a simple flat knot completes this fairly simple yet effective card! I hope you will join us for this Stamper's Dozen class. Then you too can gloat about your early Christmas preparations, because you will have already hand made 12 Christmas cards! It's on Thursday, September 19 at 6:30 pm. You can register here. There are only a few spots left. Make sure you let me know by Tuesday night.